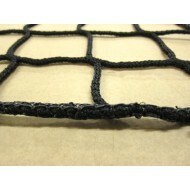 Extra heavy duty cargo nets are the toughest nets in our cargo net range and are extremely versatile multi-purpose nets. 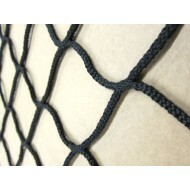 They provide exceptional strength and are suitable for load control and restraint of heavy goods. 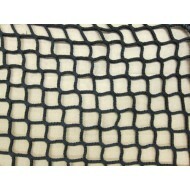 They are very hard wearing nets and are used extensively within the transport, farming, waste management, construction, industrial goods and warehousing sectors, as well as for general load restraint purposes. 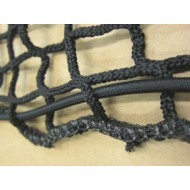 They are also used by many councils and local authorities. 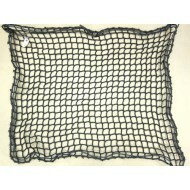 Nets are an ideal method of load restraint as they are strong, yet flexible and are able to adapt to the shape of uneven loads. 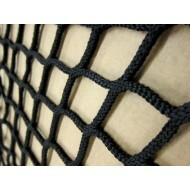 This netting is designed for high impact and heavy duty load restraining applications for cars, vans, trucks, lorries, campervans, mobile homes, boats, emergency vehicles and flatbed vehicles. 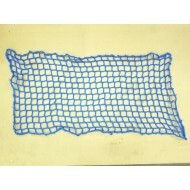 They can also be used to restrain large items such as bricks, crates, pallets and other heavy items and to cover skips and tippers. 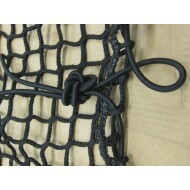 Our range of extra heavy duty cargo nets are made from knotless high tenacity polypropylene. 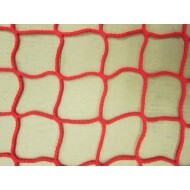 The nets are UV resistant and are available in a variety of colours, mesh sizes and twine diameters to suit different requirements. 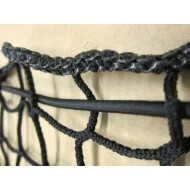 The cargo nets are finished with a reinforced edge for additional strength, and are available with or without a bungee cord. 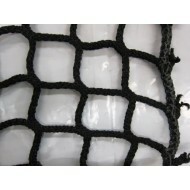 For load securing applications, the net should cover the load from the front, back and sides to ensure there is adequate protection. 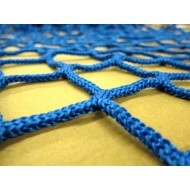 Nets are available in standard sizes, or they can be custom made to your requirements.